Dr. Austin Feeney is committed to providing excellence in orthodontics and stands out as a leading orthodontist in New Canaan. 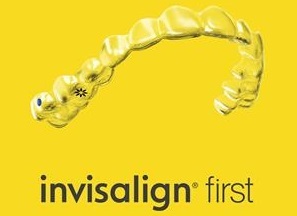 He utilizes the latest orthodontic techniques and appliances to achieve the most beautiful and healthy smile for you and your family. Read more about New Canaan ’s premier orthodontist, Dr. Austin Feeney, below. Dr. Austin W. Feeney has been delivering outstanding orthodontic and dentofacial orthopedic care since 1988. His unique commitment to the highest standard of patient care is measured by excellent outcomes and results. His office is equipped with state-of-the-art orthodontic and dental instrumentation which is complimented with caring and capable clinical staff. Dr. Feeney’s extraordinary attention to precision and detail, combined with his fondness and patience with children, are what draw patients to his practice in New Canaan, Connecticut. Not only are Dr. Feeney and his staff a strong team devoted to optimal patient care, but they thoroughly enjoy what they do. The practice of Dr. Feeney embraces children, their siblings, and families while working to create a fun-loving and stress-free experience for all patients. Dr. Feeney received his undergraduate Bachelor of Science degree at St. Lawrence University in Canton, New York and received his D.D.S. from Northwestern University Dental School in Chicago, Illinois. His internship at Hartford Hospital encompassed all phases of hospital dentistry, facial trauma, and anesthesia. His three-year residency at Albert Einstein Medical Center and the University of Pennsylvania integrated orthodontics and dentofacial orthopedics, surgical orthodontics, and temporomandibular dysfunction. Dr. Feeney has been in private practice since 1988 and has been a staple of our New Canaan community since 1990. Member – College of Diplomats ABO American Board of Orthodontics. Dr. Feeney is well liked by his constituents and patients alike. He has brightened families’ smiles over the years and has watched our community’s children grow into adulthood. He combines leading-edge technology with proven, established techniques for an absolutely fabulous smile which lasts a lifetime!